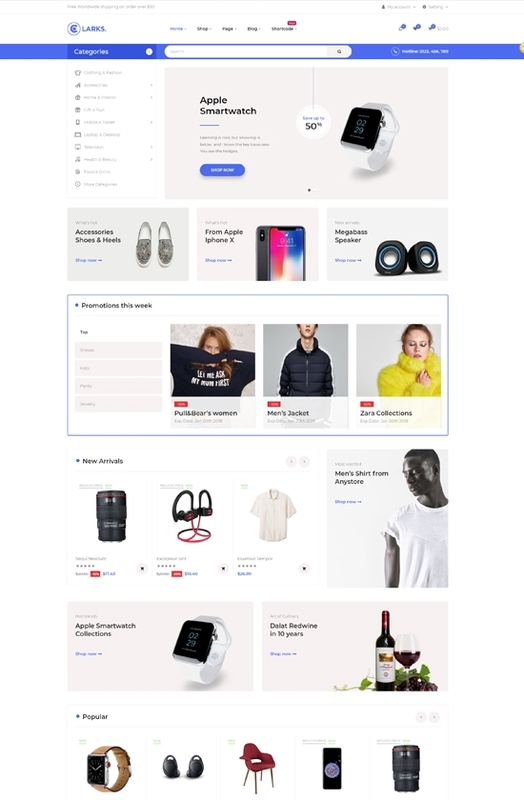 Leo Clark is built on the best Prestashop Framework, Ap Page builder module, born in the latest version of Prestashop 1.7.4.1, designed for various products like Gadgets and Digital, Hi-tech, Material and Tools, Fashion, Accessories, Furniture or Beverage. Therefore; no matter what products you sell, Leo Clark will be a perfect fit for your business. Leo Clark responsive Prestashop theme comes with 5 different homepages with clean, modern and well-structured layouts allows you to freely select the most suitable homepage for your marketing campaign at different time. What is striking most in Home 1 probably is the mega menu. This powerful mega menu in vertical style shows typical product categories so that your clients can access and approach your products quickly. Banners are simple to address the image or content part. Plus, promotion events are divided by categories for better user’s access. When it comes to Home 2, categories and subcategories are shown in block together with visual images right at the homepage for better product searching and identification. Home 3 is outstanding with large slideshow to impress your visitors with hottest products. The product blocks are different from those in Home 2; however, sub categories and banners are still shown to give you with more choices in displaying products or items. 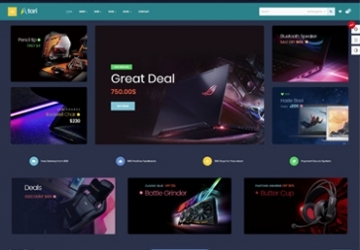 What is special about Home 4 is the layout divided into 2 columns, in which the left one is the main part to showcase featured product categories, and banners for advertising purposes, countdown discount block and other customization like new products, best sell products, which you can configure to show in the power and user-friendly admin panel. This 2-column layout will help to show more information, however, the simple design makes your items shown clearly to your clients. 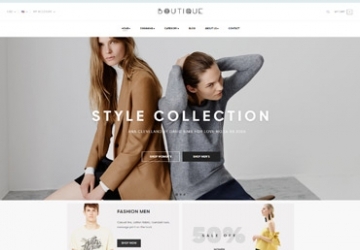 Home 5 is addressed with the promotions focused at the beginning of the web page, together with impressive product categories will help you visitors find out the desired items quickly and easily. In general, all homepages of Leo Clark are equipped with powerful modules like Leo Mega menu module, Leo Slideshow module, Leo Feature, smart Leo Blog module so you don’t need other solution from a third party but still have a fully functional online store with many advanced utilities. Ajax Add to Cart helps to add products to shopping cart directly from category and homepage using Ajax operations. Quick view enables you to view detail product in the popup window without going to the product page. For more visual look about this wonderful theme, let try the demo. 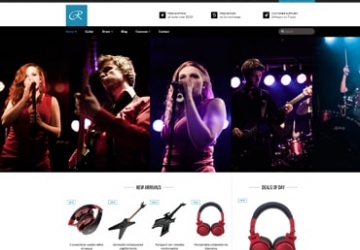 What makes Leo Clark Responsive Prestashop Theme special?